28/05/2018 - The Global Forum on Transparency and Exchange of Information for Tax Purposes (the Global Forum) held a seminar on Beneficial Ownership (BO) and Exchange of Information on Request (EOIR) on 22-24 May in Dakar, Senegal. 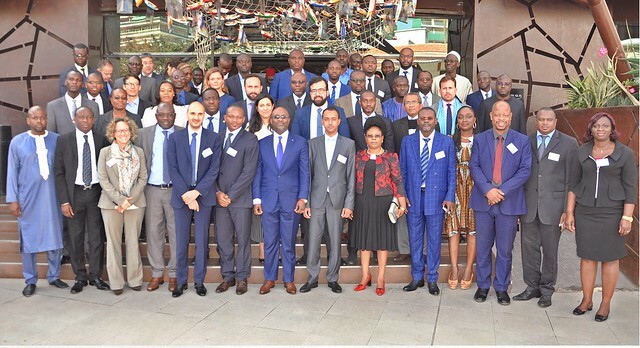 This was the third Global Forum training seminar on Beneficial Ownership that took place in Africa and was organised for French speaking African countries in cooperation with OHADA (Organisation for the Harmonisation of Business Law in Africa), with the support of the World Bank Group and the French Ministry of Europe and Foreign Affairs. 52 delegates from 16 countries attended the seminar including representatives from the EITI (Extractive industries transparency initiative), the OHADA, the GIABA (Intergovernmental Action Group against Money Laundering in West Africa) and the African Development Bank. Ensuring the availability beneficial ownership information is at the forefront of the international agenda on tax transparency and is an vital part of the international standards of transparency and exchange of information for tax purposes (both automatic and on request). The seminar is aimed at building awareness on the beneficial ownership transparency requirements in the exchange of information standard and the coordination between the various stakeholders at the national and international level. The International organisations presents recognised the need to build synergies to help African countries meet the BO requirements, for tax purposes and others (AML purposes, anti-corruption purposes). With the help of experts from the Global Forum Secretariat, delegates discussed the policy, legal, regulatory and institutional requirements of ensuring the availability of beneficial ownership information. The training seminar provided an opportunity to build and share collective knowledge, experience and networks among participants on the very important issues of BO and EOIR.